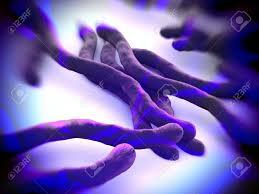 Years ago, I also suffered with the virulent bacteria B. burgdorferi and the health imbalance known as Lyme Disease. The holistic Lyme Disease information you are about to read changed the course of my life. It may also change your life or someone you know. Call me to learn about my alternative Lyme Disease recovery program, (407) 628-2176. Experience a major improvement in your health within one week. Expect to totally recovery from Lyme Disease symptoms within a few months time. Within my Orlando Wellness Practice, I have helped many with Lyme Disease and other chronic health challenges recover their pain free lives. Believe me when I say it takes knowledge, determination, consistency and a comprehensive Wellness Plan to recover from chronic health challenges including Lyme Disease. Through years of advanced training, traveling and research, I successfully combine several powerful, holistic methods for resolution of Lyme Disease imbalance. I teach others how to regain and maintain their pain free, balanced lives: http://ihelpbackpain.com/health-coaching-life-extension/. Below view Lyme Disease research describing why a few of the specific therapeutic grade essential oils I use in my wellness protocols, play a role in my wellness program. “An interesting observation is that the highly active essential oils were found to have excellent anti-biofilm ability as shown by their ability to dissolve the aggregated biofilm-like structures.” See the complete study abstract below. View my testimonial and the Lyme research abstract below. Decide to recover from the debilitating health imbalance known as Lyme Disease. You can do it, when you have the correct protocols. Call for your complete Wellness Consult today (407) 6282176! Sixteen years ago I suffered from Lyme Disease and found I had the highest blood titer possible. I was near death’s door. Antibiotics and steroids were not helping my health imbalance at all. In fact they increased my ill health by contributing to a condition I developed known as “leaky gut”. Having a permeable gut lining further weakened my immune system. In time my other organs of elimination were also negatively affected. I began to use therapeutic grade essential oils in specific ways along with a combination of several extremely important health strategies necessary for complete Lyme imbalance recovery. Using my health plan I have enjoyed and continue to enjoy high energy for years as my immune system, organs, bones and brain have been cleansed, strengthened and renewed. Today, I use the most potent and pure therapeutic grade essential oils for many advanced longevity protocols. They play an important role in my daily health plan as well as the health plan of my clients. Therapeutic grade essential oils have become part of “The Hamel Method”. Call me today to learn more about my advanced wellness strategies. Regaining your healthy balance is one phone call away (407) 6282176! Properly distilled therapeutic grade essential oils are made from food and are non-toxic. Be aware that most essential oils in the world are adulterated and do not contain necessary compounds in the correct amount and the correct order to achieve desired results. Knowing which therapeutic oils to purchase and how to use them correctly combined with a specific dietary plan, alkalizing, and cellular detoxification method is critically important to experience lasting results. The “Hamel Method” offers the necessary synergistic approach to wellness you require. Having a Certified Wellness Consultant to guide you every step of the way is critically important as there is much to learn. Throughout the years I studied directly with many world renowned health practitioners, stood on their shoulders and created The Five Portals To Healthy Longevity. An athlete would not consider preparing for an important competition without the support of their coach. Allow me to be your Wellness Consultant and experience the results. I created a Lyme Disease recovery plan and ran with it, totally recovering from Lyme Disease symptoms. Today, I am a certified Wellness Coach with the PH Miracle Center and Clinical Aromatherapist. Within my health practice I enjoy helping others regain their balanced, pain free lives. Listen to a short audio presentation below which briefly outlines my wellness protocols https://www.youtube.com/watch?v=oXhAl17eoew and call to learn more. Call me today to for your free 20 minute consult (407) 6282176. Recover from life challenging Lyme Disease symptoms and enjoy your former pain free life! Lyme disease is a most common vector borne disease in the US. Although the majority of Lyme patients can be cured with the standard 30 day antibiotic treatment, about 10-20% of patients continue to suffer from prolonged post-treatment Lyme disease syndrome (PTLDS). While the cause for this is unclear, one possibility is that persisting organisms are not killed by current Lyme antibiotics. It has been reported in the literature that essential oils have antimicrobial activities and some have been used by patients with persisting symptoms with varying degree of improvement. However, the activity of essential oils on the causative agent Borrelia burgdorferi (B. burgdorferi) has not been studied. Here, we evaluated the activity of a panel of 34 essential oils for activity against B. burgdorferi stationary phase cells. Interestingly, we found that many essential oils had varying degrees of activity against the stationary phase B. burgdorferi. In particular, the top 5 essential oils (oregano, cinnamon bark, clove bud, citronella, and wintergreen) at a low concentration of 0.25% showed more activity than the persister drug daptomycin (40 microM). Call today for your free 20 minute health consultation! Always check with your doctor before beginning a new healthy lifestyle protocol. The information contained within this article is for informational purposes only. It is not intended to treat, diagnose or prescribe. Serving: Orlando, Winter Park, Deland, Ocala, Winter Garden, Daytona, Castleberry, Apopka, Sanford, Mount Dora, Altamonte Springs, Maitland And All Central Fl.